There is no shortage of weight loss supplements on the market. More and more seem to be coming to the shelves with each passing month, so it begs the question: Which are the best supplements to maximize your results? The truth is that each product seems to work differently with each person. A given individual may achieve great success with a given supplement, while others don’t see any noticeable results at all. 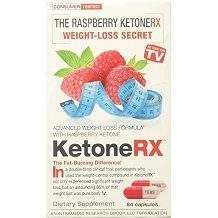 With this in mind, this review of Ketone Advanced Weight Loss Formula will give you the information you need regarding one such supplement and you can decide based on these facts if it would benefit you to give it a try. Blood Orange (Extract) – High fiber fruit to boost digestive system and overall health. Grapefruit (Extract) – Reduces insulin levels, which are responsible for fat metabolism. Sweet Orange (Extract) – Used as an antioxidant for overall health and boosting the immune system. Guarana (Extract) – Natural stimulant and metabolism booster. 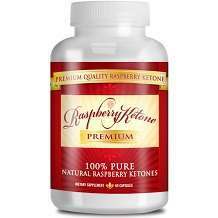 Raspberry Ketones – Break down fat cells so the body can burn them faster and regulates metabolism. Red Raspberry Seed Powder – Common source of fiber, iron, and calcium for your body. The recommended dosage of this supplement is to take two pills two times a day. This should be done with a full glass of water, and it is strongly recommended not to take it without the water or something else in your stomach. While you can modify this dosage based on your individual needs (according to the manufacturer), it is important not to exceed 6 of these pills within the same 24 hour period. Since there are strong caffeine-like ingredients within this supplement, it is recommended that you avoid other supplements with similar ingredients as well as caffeinated beverages while taking the capsules. Not doing this could result in sleeplessness, irritability or in some cases, a rapid heartbeat. This supplement is not intended for women who are pregnant or who are breastfeeding. Should you want to buy this supplement online, you will be looking at $12 or $13 for a bottle of 84 capsules. Based on the recommended usage, that price will get you a 21 day supply of the product. As far as the manufacturer is concerned, we were unable to find any money-back guarantee. This means that if it doesn’t work for you, there will likely be no getting your money back unless the retailer you purchase from offers their own guarantees. There are so many products out there, it almost falls exclusively to pros and cons of each of these supplements to determine which ones might be best for you. So with that in mind, you should consider a couple of the positives about this product. While the decision remains yours, it would seem that through the research we have done into this product, that you might be better off looking elsewhere. As earlier stated, it all works differently from person to person, so you have to choose for yourself.